Christopher C.M. Lee – Christopher C.M. Lee – In this presentation I argue that Durand’s idea of type inheres in his method. This proposition offers the possibility to formulate the disciplinary knowledge of architecture through type. 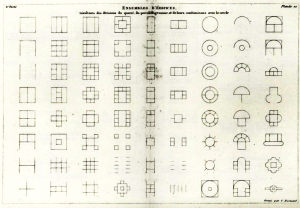 It also suggests that the idea of type through Durand can be understood in two ways; the first involves the principles that can be abstracted from building precedents and the second involves a generative method to further these principles in the design of buildings, utilizing the abstracted principles or deep structure. The second implies a rational process, the logic of type as a method; in other words, typology. 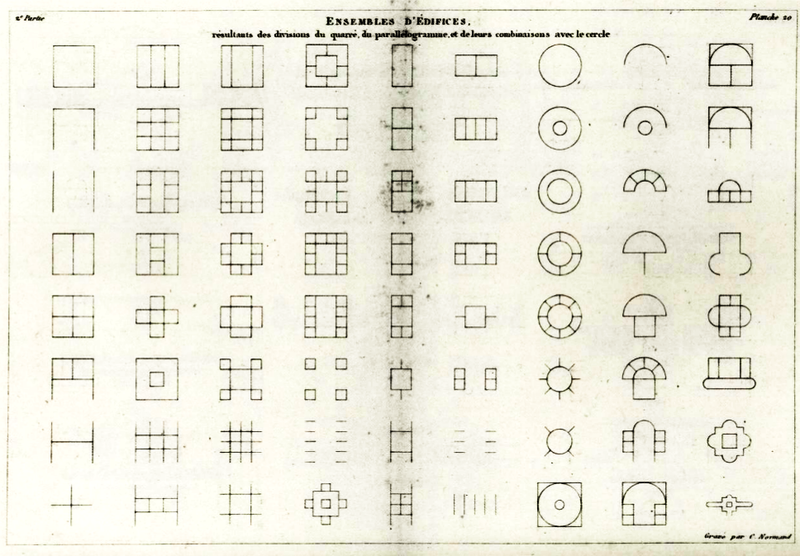 By moving away from the doctrine of imitation and rejecting the theories of Vitruvius and Laugier, Durand moved the practice of architecture away from the singular pursuit of beauty – through the imitation of nature and the human body – to one which is open ended and procedural to enable differentiation. Villari argues that this method is syntactic and had likened it to the structure of language. I offer an alternative reading, that is, this method cannot be fully abstract as the ‘elements of architecture‟ that Durand sets out in his Précis is physical and this method can be seen more as a phylogenetic process. This is not to suggest that the method produces bio-mimetic architecture but that a building can be broken down to its irreducible part and be reconstructed again to a completely different building whilst bearing the imprints of that irreducible part. This serial process sets up an unbroken a link to its precedent, I argue, and as such a link to the history of building types.